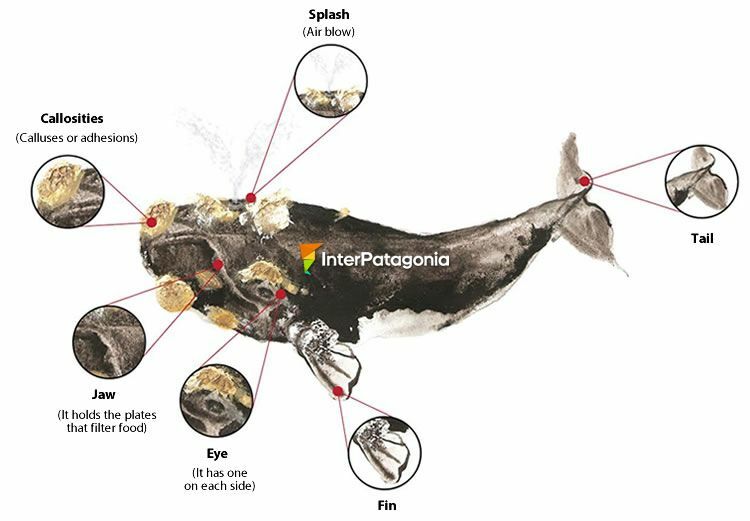 The southern right whale is the great protagonist of Patagonian whale watching. 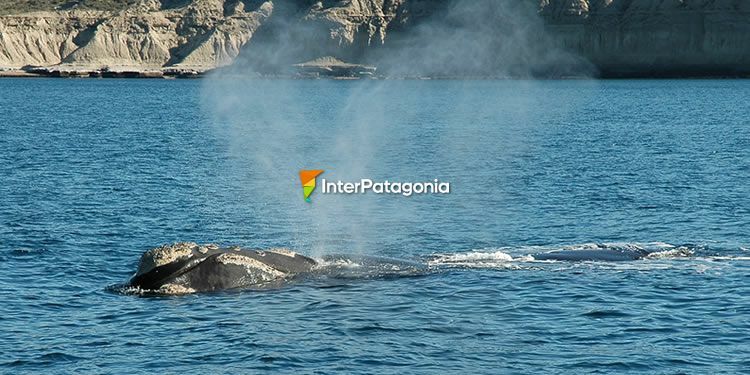 The point is that in the winter and when the spring comes, a large number of whales approach the Valdés Peninsula region, mainly Golfo San José and Golfo Nuevo, in the Province of Chubut. The question children usually repeat is hardly ever answered properly by adults. How do right whales breathe? Right whales exhale the air in a "V" shape and this air may reach a height of 3 meters, which may be seen from a distance. The reason for this kind of breathing are its two outer respiratory holes or blowholes, located on the top or back of the whale's head. 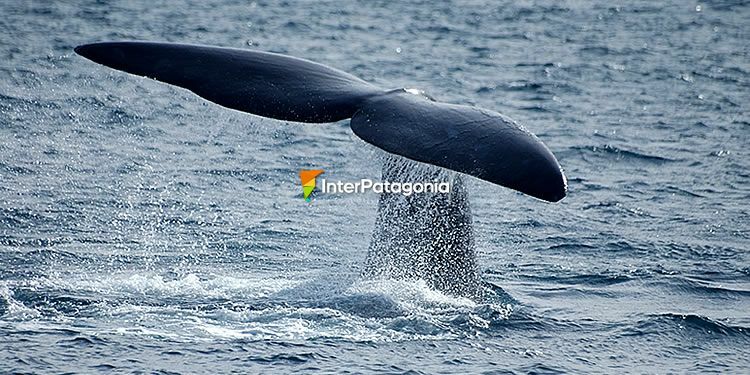 They are hermetically closed as the whale dives in order to prevent the water form entering their respiratory system. This has led to the mistaken belief that whales gush water. The blow helps to identify them from a long distance. This used to be a natural vulnerable feature for these animals as far as whaling is concerned.